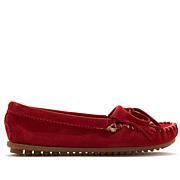 I bought the red ones and I love them. Very soft leather, they are easy to wear right out of the box. I am someone who wears mostly flats, and these are perfect for after work and weekends. But for the office, its more a casual Friday kind of choice. But I am sure they will last a long time. Great buy! 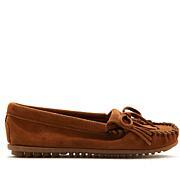 I love these leather mocs. 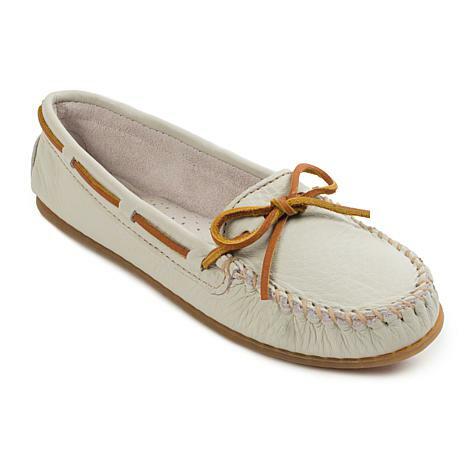 They are JUST what I was looking for - something a little casual that I can wear year round. They are perfect!!!! Shoe is not as structured as it looks in the picture. I missed the window for returning it because I didn't open the package right away. It really hurts to wear.